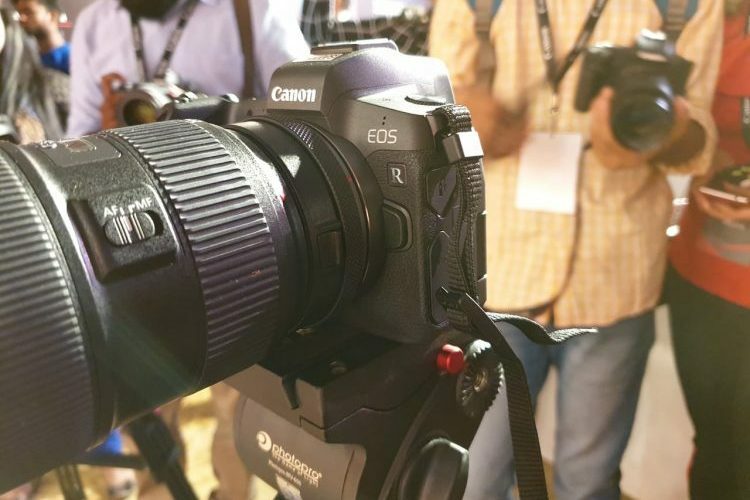 Canon has today launched its first full-frame mirrorless camera, the EOS R, in India, with a price tag of Rs 1,89,950. It will go on sale in mid-October and compete with Nikon’s latest entrants, the Z6 and Z7, in the full-frame mirrorless camera segment. Coming to the pricing, the EOS R body has been priced at Rs. 189,950 but you can also pick up an RF 24-105mm f/4 IS USM lens with the body for Rs. 278,945, which means the kit comes near the 5D Mark IV in terms of pricing. Canon will also run an introductory offer on the EOS R, where you will get an additional battery and mount adapter along with the camera body or kit – whichever you pick. The EOS R features a 35mm full-frame CMOS sensor, which is said to be capable of clicking pictures at 30.3 megapixels. It is powered by Canon’s DIGIC 8 image processor, has an ISO range of 100-40000 and has a new RF mount system with a 54mm diameter. This latest addition to Canon’s full-frame lineup builds on the success of the 5D Mark IV, bringing an autofocus system with up to 5,655 focus points. It boasts of a focusing speed of 0.05 seconds, which it asserts to be the fastest in the world. The camera’s focus performs particularly well in low-light, thanks to the EV -6 limit. The camera also includes dual sensing IS to stabilize shots and dual pixel RAW for micro-adjustment, bokeh shift, and ghost reduction, according to Canon. 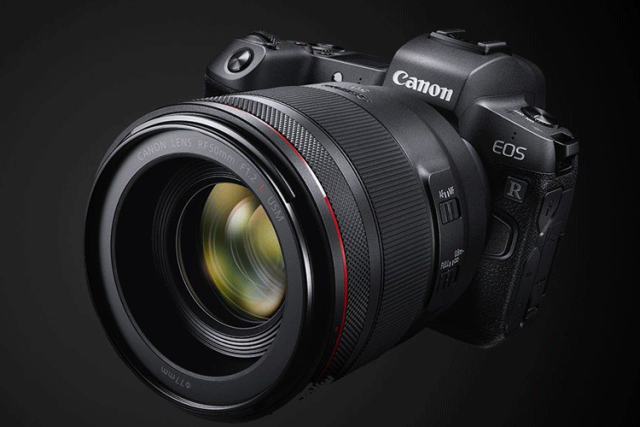 The EOS R is made from a magnesium alloy, coupled with dust and moisture resistance. There’s also a rotating touchscreen on the back, OLED electronic viewfinder (EVF), and a dot-matrix LCD at the top (next to the EVF) for displaying useful info at a glance. There’s also a multifunctional touch bar, with arrow icons, that can be found on the right of the EVF. It enables users to perform tap and slide functions (not via a dedicated dial) silently to adjust the ISO, autofocus, white balance, and more. It’s a feature that’ll come in handy when you are recording a video. EOS R support 4K recording at 30p/25p. Alongside the EOS R camera, Canon has also unveiled four RF lenses namely the 50mm f/1.2 L USM, 24-105mm f/4 L USM, 28-70mm f/2 L USM and 35mm f/1.8 macro IS STM that complete this new ecosystem. 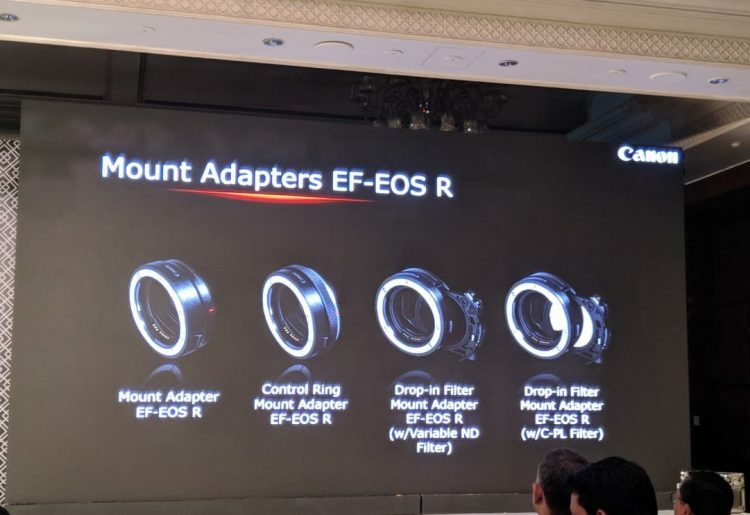 There’s also an EF-EOS R Mount Adapter unveiled so that EOS R will support the camera giant’s complete range of lenses.